Are you interested in finding unique ways to reuse items like old recycling bags? These bags are typically made of a nylon that you can use to grow potatoes of all things. You just need to master the methods that are necessary for how to grow potatoes in a bag. One thing about recycling bags that will be important to know for how to grow potatoes in a bag is they will need some modifications. These bags to not drain water and means you will need to add some holes so water drains properly. This will actually be the fun part of the process. Make sure to use a mixture of potting soil and compost for this process. This is an important step in how to grow potatoes in a bag. The more nutrients you provide your potatoes the better the crop will grow. You only need to partially fill the bag, so it won’t be that heavy. 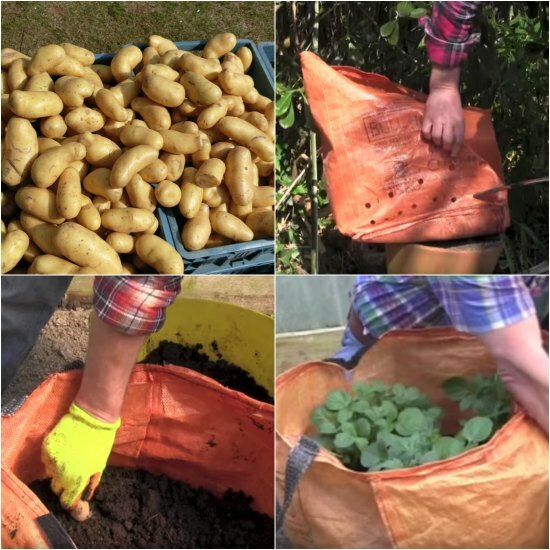 The video below will walk you through all the steps to prepare the bag, plus plant and care for your potatoes.